Encourage the behavior you want to enhance by creating a safe environment for them to take risks. Avoid blaming when someone makes a mistake. Hold staff accountable, but use mistakes as learning opportunities to foster continued initiative. Ask employees to come up with process improvements, listen to their suggestions, and implement their recommendations, wherever possible. Provide opportunities for them to gain new skills and sharpen existing ones by offering training programs. Delegate assignments that showcase their abilities and let them stretch and grow. Coach and mentor employees who show promise and cultivate their management and leadership skills. See my blog post Do You Need a Coach or a Mentor? 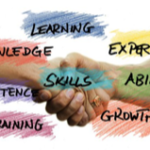 Helping each team member improve and showing them how to enhance their skills will strengthen your entire team and make everyone more positively productive. Getting in front of a customer is just the first step in selling your products and services. You need to be persuasive and entice them to say “Yes!” You can only do this if you stop focusing on what you offer and start focusing on why they need it! Always remember, you are selling benefits, not features. Here are some tips from my newest onsite workshop, Getting Results through Influence and Persuasion. Tell stories. You want your presentation to grab attention, overcome objections, show the value of your product and service. Persuasive presentations are more compelling when you use anecdotes and stories to help your customer experience specific results that resonate with them on an emotional level. Stories that touch our hearts are one of the fastest ways to persuade. Use facts and numbers for credibility. Your presentation requires concrete, verifiable evidence, such as statements and research from experts, facts and statistics, and specific, relevant examples. 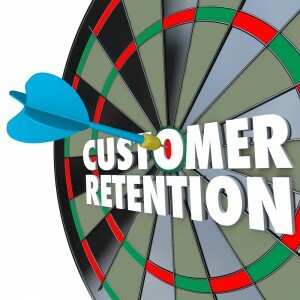 Back up every assertion with sound, qualified sources that make sense for the customer. Persuade with benefits, not features. To communicate persuasively, use features, but always tie them to the benefits they deliver and tie those benefits to the customer’s values, interests, and beliefs. A feature is a characteristic of something; a benefit is what the feature provides. People are persuaded by benefits and then use features to justify their decision! 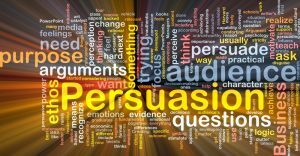 Persuasion is a skill that needs to be learned and practiced. Use visualization to rehearse possible responses, anticipate questions that others may have, and plan how to respond. Check out my newest onsite workshop, Getting Results through Influence and Persuasion. Managing employees can be challenging, especially if you are a new manager, and your team doesn’t know you. To grow your relationship with your team and help them trust in your leadership, you need to gain their respect. Here are some tools to help you with this critical task. Always be accountable. As a manager, you hold your staff accountable; that same accountability applies to you as their leader. You must step up and take responsibility for your entire team and their actions—both mistakes and successes. Never hide behind excuses like, “That’s not our job.” Act and demonstrate leadership. Support your people. Your team will not be right in every situation. Things happen within your team and with other teams. Regardless of who is ultimately responsible for a situation arising, you must stand behind your people. Never throw anyone “under the bus” if you want their respect. Address the situation, do what needs to be done to remedy it, and ensure it is not repeated. Share the big picture. As a manager, you are responsible for day-to-day work and can become shortsighted by focusing only on getting the job done. However, as a leader, it’s up to you to communicate to your team that their efforts matter and make a difference. Take time to praise a job well done and devote time at staff meetings to discuss the big picture of the organization and their role in it. Most importantly, show respect for your team. Recognize their achievements, lavish praise and recognition on them for a job well done, ask for and act on their input for making their jobs easier. It looked like it would take a long time to read? It was riddled with typos? Have you ever been guilty of sending an email with these errors? Writing and responding to email takes up a huge part of your day, and you want the task to be as easy and as efficient as possible. Here are some tips. Use a professional greeting. If you are sending an internal email, show courtesy by greeting the person. A simple “Hi” plus the person’s first name is basic etiquette. If you are sending an email outside the company, use a formal business letter greeting: Dear [the person’s title and last name}. Keep paragraphs short and to the point. The rule is one topic, one paragraph. Generally, try to keep paragraphs under seven sentences in length. Make sure that you double space between paragraphs and that each paragraph has a topic sentence, which tells the reader what the paragraph is about. Use the right tone. Tone is what people hear when they read since we tend to sound out words. A polite, conversational tone is best since most people respond positively to it. 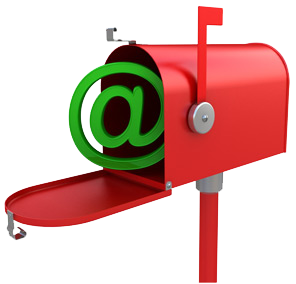 See my blog post Controlling Your Tone in Email for more information on this topic. 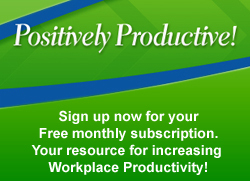 Need help being more positively productive with email? Check out my program Writing and Managing Email. If you have attended one of my workshops, you know that I am a staunch advocate of the power of delegation to make managers more positively productive. Despite the benefits of delegation, it doesn’t always work. Here are some things to watch for to ensure more effective delegated assignments. Delegating to the wrong person. Matching the assignment to the employee is a critical factor in the success—or failure—of a delegation. Generally, you want to give staff opportunities to showcase their abilities and learn new ones. This is best accomplished when the assignment builds on the employee’s strengths and pushes the employee to perform beyond their current level. For example, if you want to delegate the researching and writing of a report, choose an employee with strong writing and organization skills, but who has limited knowledge of the subject matter of the report. Failing to clarify your expectations about performance. When an employee receives a delegated assignment, they need to understand what you want them to deliver—the where, when, and how. The clearer you are about metrics, deadlines, and their decision-making authority, the easier it will be for them to accomplish the results you need. Micromanaging the employee. When you delegate an assignment, you must trust the employee to deliver. Maintain an open door for questions and coaching, but let the employee handle the assignment as they see fit. 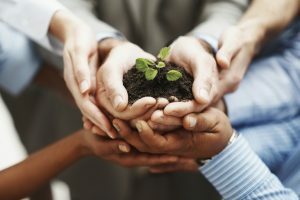 Remember, your job is to help staff grow and develop, so create an environment that lets employees do so. Delegation is an important tool that helps you be more productive and encourages your employees to advance in their careers. 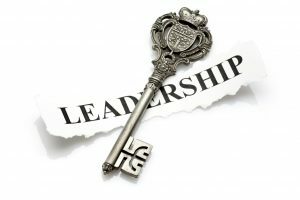 When used correctly, it also enhances your role and reputation as a leader. See my blog post Successful Delegation for more information.